This year marks the anniversary of the publication of an extraordinary book. 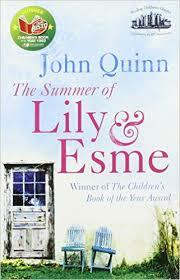 In 1991, Poolbeg published The Summer of Lily & Esme by John Quinn and in the 25 years since, it has never been out of print. 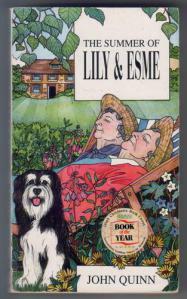 The Summer of Lily & Esme tells a quiet story, filled with compassion, friendship, memory and heart. It is the story of Alan, an 11-year-old boy who has moved from the city into a house in the countryside; in the middle of nowhere.The house is old and extremely large and immaculate; and there is a locked, boarded over attic room that is said to be haunted by the ghost of a young boy who died tragically. Alan is not too pleased with this move and becomes even less thrilled when he discovers his closest neighbours, in fact his only neighbours, are a pair of elderly sisters, Esme and Lily, who seem to be suffering from dementia. 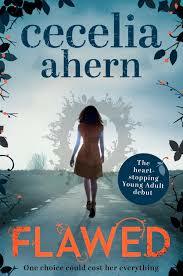 When Alan falls down a hill of brambles and weeds, the sisters, who believe they themselves to be children, mistake Alan for their childhood friend, Albert. Albert sits at the centre of a mystery that occurred just a few short months after Lily and Esmes' 11th birthday, and now....according to them, he has arrived back. Alan and his new friend, Lisa who has arrived up from Wexford for the summer, set about discovering what happened to Albert, and, by extension, the sisters. The summary I give hear seems too trite to do justice to how exceptional a story is told here. First of all, it is dealing with a concept that is difficult for children ages 9 to 12 to truly grasp with full understanding and impact. And yet, they will. 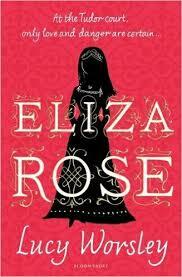 In it's own reserved and thoughtful way, it is compelling; fascinating. The language is simple, clear and yet extremely eloquent. It casts a spell that allows the reader to see every bit of the journey. I didn't need to want to visit the house, meet the old ladies, see the countryside...I was there. It also expresses the deep interest, for lack of a better word, that the young and the old have with one another...a connection of sorts that is both curious and important. . Upon finishing The Summer of Lily & Esme for the first time, I found myself sitting there with tears running down my face...and then I read it again. 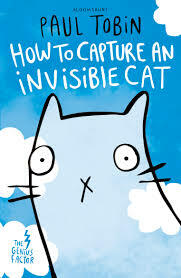 I wish I had this book when I was young. Sadly, I only found it as an adult. But that hasn't lessened the impact it has. It is both memorable; the kind of book you will keep with you always.....the kind of book that will inspire you to think more, be more conscious of who and what is around you. It is unbelievably honest and forthright. It will make you think and feel more deeply. And it will move you. Congratulations, John Quinn, for having written such a book. And thank you. It is certainly a gift. May it stay in print for at least another 25 years. The Astrid Lindgren Memorial award is presented each year. This is the largest international award for children and young adult literature in the world, indicating the importance of reading by children and young people in their lives. The total (SEK 5 million) is set to inspire and encourage anyone involved in childrens writing to strive for purpose and quality. The award is given to authors, illustrators, storytellers and reading promoters. It may be presented to a single laureate, or to several and is given regardless of language or nationality. It is administered by the Swedish Arts Council and is named in honour of the amazing author, Astrid Lindgren, who gave the world such important childrens works as Ronia, the Robbers Daughter, Mio, My Son and, of course, Pippi Longstocking. The Astrid Lindgren laureate for 2016 has been announced as Meg Rosoff. 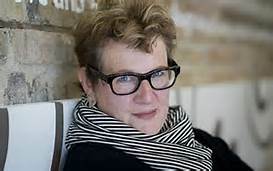 Meg Rosoff made her debut in 2004 with the powerful dystopian novel, How I Live Now, the story of a young woman, Daisy from New York and her English cousin, Edmond, whose lives are torn apart as war rages in a not too distant future London. Each book since then has shown rare understanding, passion and compassion in expressing the lives of young people caught between childhood and adulthood, how they view their lives and the world situation and their thoughts on who they will be and how the world will form them into adulthood. With incredible dexterity and the utmost loyalty, Rosoff expresses issues of identity and being and becoming. Congratulations to Meg, who will be presented with her award on May 30 in a ceremony at the Stockholm Concert Hall. No better representative! IBBY (International Board on Books for Young People) announced the winners of the 2016 Hans Christian Andersen awards on 4th April. I look forward to this event every time. 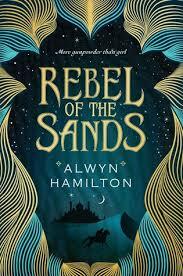 Their longlists are always extensive, covering childrens authors/illustrators worldwide. 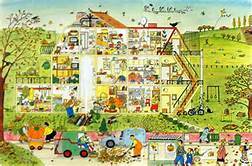 It gives us a reminder of the rich and varied landscape in childrens literature, showing the concerns and similarities of the lives of children across the globe. 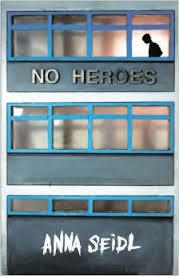 When we view the shortlists, we are seeing the creme de la creme in childrens publishing, not simply in our own national or regional area, but everywhere....quite literally. It aids in a better communication and understanding of ourselves as human beings. The Hans Christian Andersen Award is consider the Nobel Prize for childrens writing and illustration. Always a truly fascinating experience. 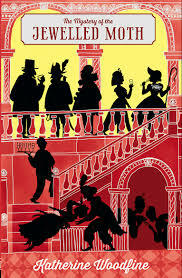 For illustration, the Hans Christian Andersen Award goes to Rotraut Susanne Bernard.
" Berner’s work is at all times recognizably hers, while simultaneously being intensely responsive to the demands of the text, or in the case of the Wimmel Books, to the specific world of a very specific town. She is willing to take risks—"
For writing, the winner is Cao Wenxuan of China.
" The unanimous choice of the jury, Cao writes beautifully about the complex lives of children facing great challenges. He is a deeply committed writer, whose own difficult childhood has been deeply influential on his writing in which there are no easy answers..."
Each displaying an amazing and wonderful body of work that speaks directly to the lives and hearts of children everywhere, both are truly deserving winners. Congratulations! Sam and Grandpa are trapped indoors by the pouring rain. Sam drinks hot chocolate and reads his books while waiting for the rain to stop. But Grandpa has a very important letter to post and can't let the rain and flooding stop him! So, off they go! Once outside, with no end to the horrible weather in sight, marvelous adventure ensues. Very thoughtful and a great deal of fun, this is the follow-up to Snow and one of four picture books based on the weather. Beautiful illustrations and heart-felt observations on the relationship between grandparent and grandchild, Rain is utterly wonderful and very poignant! 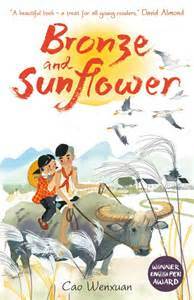 A great picture book for sharing. Black clouds gather, the wind begins to howl and rain begins to fall. Polly is waiting for something really important...but she is getting worried. And she can't even go outside; not in this weather! How will she keep busy? 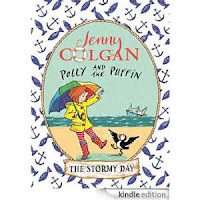 Things get even more worrisome when her puffin, Neil flies off into the storm! What will Polly do now? 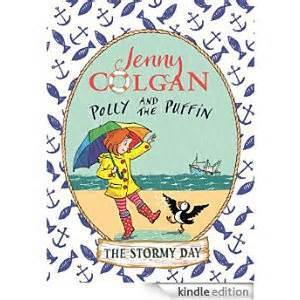 I am loving the Polly and the Puffin stories! Gentle, heart-felt and still filled with excitement, these books also include recipes, rhymes and fun activities. The illustrations are simple, clear and very expressive and charming. Perfect for newly confident readers, or to share aloud. Freddie Mole is an ordinary boy who joins the circus one day. He’s stuck with all the nasty clean-up jobs and works hard, but can’t believe his luck when he’s asked to understudy some of the acts. The acrobats performance is terrifying, but it would seem Freddie has “star” written all over him! The big question is, is Freddie brave enough to go into the lions cage when they really need a lion tamer to headline the show! 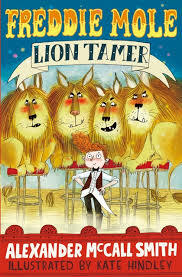 Funny, well-written adventure for younger readers with quirky, lively illustrations that add much to the story! Miriam is a high school student living with her father, part of a close, carefree group of friends, embarking on her first serious relationship with her sweet, kind boyfriend Toby. Life is good, life is ordinary and happy. Until the day when one of her classmates goes berserk, gunning down several students and teachers, including Toby who is shot right before Miriam's eyes. In the days and weeks that follow, Miriam and her surviving friends are left with the full range of emotional backlash; grief, terror, shock, rage, and guilt. Guilt is the worst of all. Haunted by nightmares and the question, "Is it our fault?" Miriam tries to piece her life back together. But how can anything be normal or ordinary again. A powerful, soul-wrenching story of the aftermath, this is astounding. It is a convincing psychological study of an event, horrifically all too common in our times, that we all pray we never have to face. It also calls into question the media treatment of such events and how we handle our responsibilities to each other. powerful and important. (Young Adult, but adults should read this as well.) Do NOT shy away from this book! And I'm sure there will be a few more later! Enjoy!